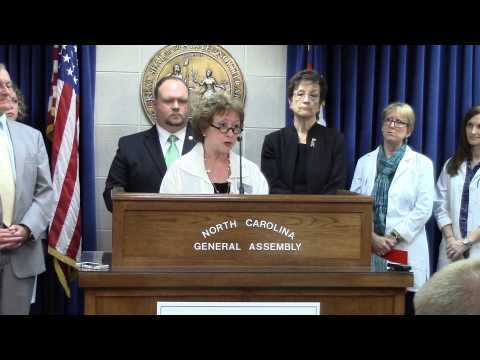 RALEIGH – Lawmakers at the North Carolina General Assembly have introduced the Modernize Nursing Practice Act, a bill designed to reduce burdensome regulations and allow Full Practice Authority for Advanced Practice Registered Nurses (APRNs). Primary sponsors of HB 88 are Rep. Josh Dobson, Rep. Donny Lambeth, Rep. Sarah Stevens, and Rep. Gale Adcock. Primary sponsors of SB 73 are Sen. Ralph Hise, Sen. Louis Pate, and Sen. Joyce Krawiec. Unlike bills that are being considered for other professions, HB 88/SB 73 does not change the scope of practice of any nurses; it simply removes outdated and superfluous physician supervision requirements. Current regulations do not require physicians to actually “supervise” APRNs from the same city where they practice or even see any of their patients. Dr. Chris Conover, a health economist at Duke University, conducted research in 2015 showing that APRNs have the potential to improve quality and access to healthcare while saving between $433 million and $4.3 billion per year in North Carolina. “Modernizing North Carolina’s regulation of APRNs would allow North Carolina residents to enjoy better access to care of equivalent or better quality even as the health system sheds some avoidable costs in the process,” Conover said. Conover’s conservative estimates conclude that expanding the use of APRNs would save North Carolina more than $430 million annually in health care costs while adding at least 3,800 jobs to the economy. A similar version of this bill was introduced in 2015 with bipartisan support in both the House and the Senate. For more information on Dr. Conover’s study through the Center for Health Policy & Inequalities Research at Duke University, visit http://bit.ly/APRNstudy.